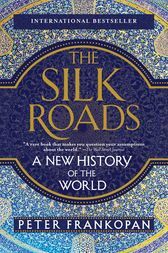 Also available: The New Silk Roads, a timely exploration of the dramatic and profound changes our world is undergoing right now—as seen from the perspective of the rising powers of the East. "The author's gift for vividness is reminiscent of Jan Morris, while his command of revealing facts or fancies is not far short of Gibbon's." PETER FRANKOPAN is a historian based at Oxford University. He is the author of The First Crusade: The Call from the East, a major monograph about Byzantium, Islam and the West in the eleventh and twelfth centuries. He is a senior research fellow at Worcester College, Oxford, and the director of the Oxford Centre for Byzantine Research at Oxford University. His revised translation of The Alexiad was published in the United States in 2009.